15 minutes north of City Center. Across from Diamond Bowl Bowling Lanes. 17 modern air-conditioned units. Some with kitchenettes - telephones - tubs and showers. Free television. Mr. and Mrs. Bob Whipps, Owners and Managers. 15 minutes north of city center (opposite K Mart Shopping Center and Bowling). ON U.S. 395 - 195 - 2. 17 modern air-conditioned units, some with kitchens. Telephones, tubs & showers, free television. Len and Janet Pederson, owners and managers. Approved Motel - All conveniences. We're not satisfied unless you are. 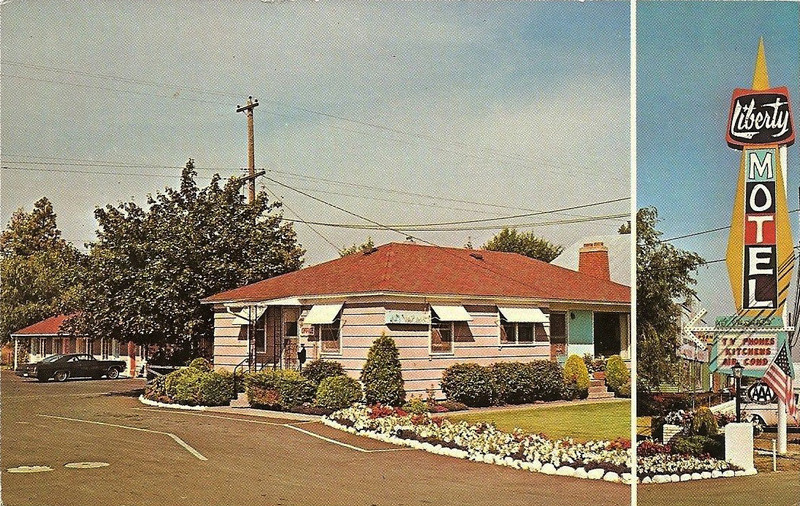 Liberty motel. Modern units, TV.